As promised, here is the Old Kingdom text that confirms the existence of encircling protective symbolism directly linked to the pyramids themselves. 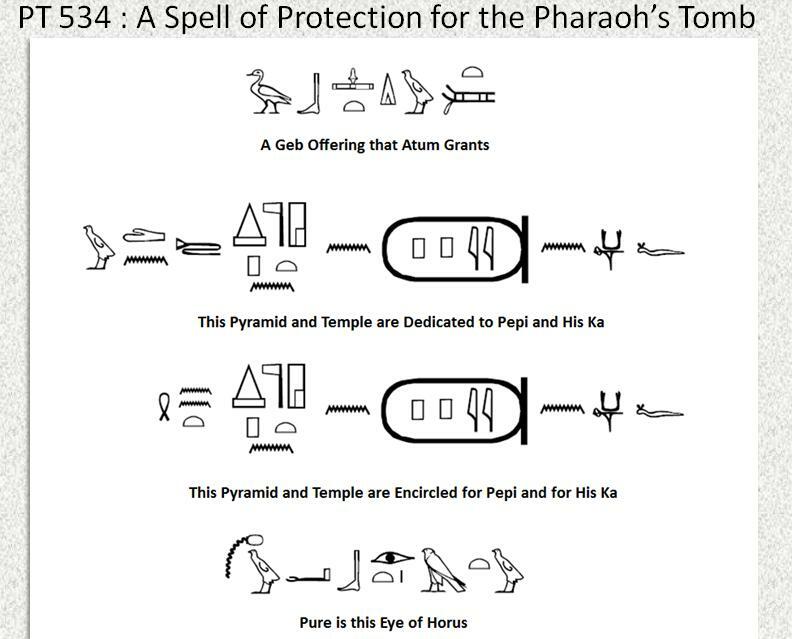 This is from the Pyramid Texts inscribed on the walls of the 6th Dynasty pyramid of Pepi I.
PT 534 – The encircling part of this spell or prayer of protection refers to the ideology of eternal encircling protection, represented by the ‘shen’, for the pharaoh. The shen is usually depicted as being carried by Horus. This text describes the same encircling symbolism as was identified in the pyramid architecture by Petrie. Also re-iterated by Edwards and Verner and others.